A compact joint that can be pulled out in an arc around a sphere. This may not sound like much, but it is nothing less than a sensation. 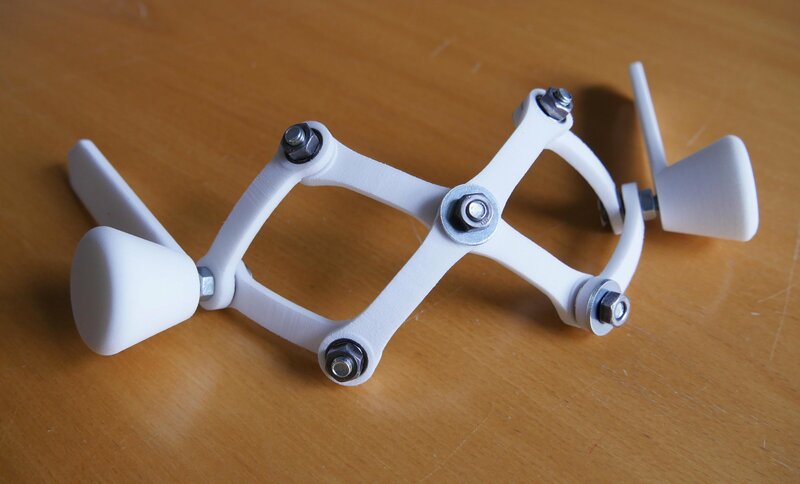 The joint is called CXD (Compact X-scissors Device) and was developed by researchers at Aalborg University (AAU). It is the world’s first retractable joint that can move freely in all directions around a sphere – for example, as support for the shoulder or hip. “Mechanical joints such as for the shoulders are large and bulky mechanisms. And unfortunately there are a lot of restrictions on what movements they can make. For example, in a particular use scenario, you cannot keep your arm stretched out in front of you and then turn it to the side. This is a major obstacle for those wearing the exoskeleton,” explains PhD student Miguel Castro. “The new joint we developed is just as versatile as a ball-and-socket joint, but very compact. Because of this compactness, you can create an exoskeleton that can be worn discreetly under clothing. That means a lot, especially for the kids who have to use it at home and in public,” he says. In March, the CXD joint won first place in the Wearable Robotics Association Innovation Challenge (WeaRAcon18), an award that was presented at the industry’s most important conference in Arizona, USA. “The people on the awards committee were either directors or deputy directors of the major exoskeleton producers. They thought that our joint was the most interesting invention at the conference. This is of course good market validation,” says Lars Halkjær, special consultant in technology transfer and part of the research team behind the CXD. 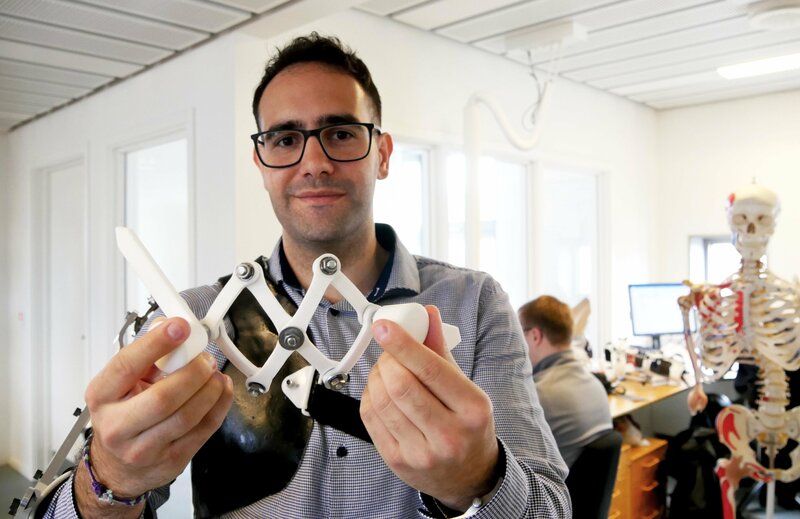 In a few years, exoskeletons will be a more common sight in everyday life, says Lars Halkjær, for instance, in industrial companies with tasks that require strength and precision but that are not suited to being performed by robots. “Ten years ago drone technology was new and exotic, says Lars Halkjær. Today, they are used for a wide variety of solutions in transport, inspection and more. I think we are going to see the same trend with exoskeletons,” he says.